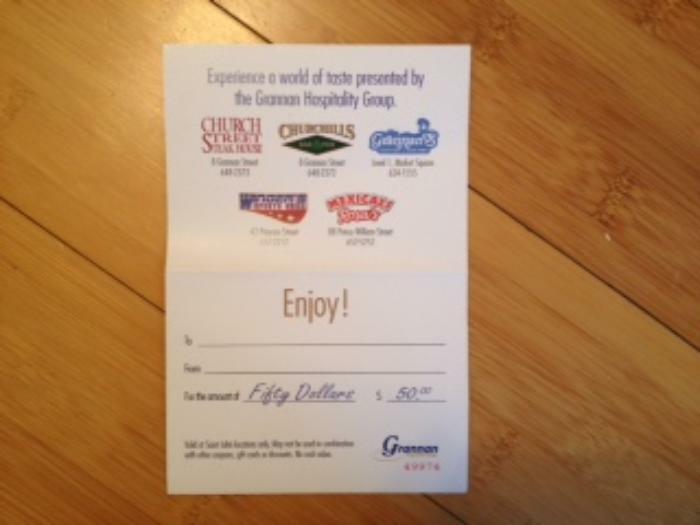 $50 to the restaurant of your choice within the Grannan's group. Whether you feel like seafood, steak or mexican you can use this certificate. An evening out at Church Street, Churchills, Grannan's, Winger's Sports Grill or Mexicali Rosa's.